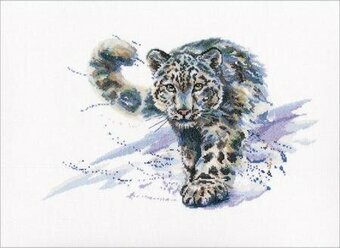 Cross Stitch Kit featuring a Snow Leopard. This Cross Stitch Kit comes complete with Zweigart Aida, pre-sorted DMC floss, John James needle, easy-to-follow chart and instructions in English. 16 Count. 14.25" x 9".